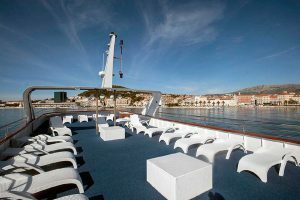 We look forward to welcoming you aboard our brand new M/S Casanova, perfectly designed for the sparkling Croatian Coast and for carefully tailored itineraries which sample the very essence of what sets our corner of the world apart. 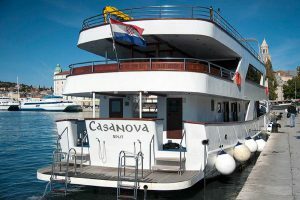 The yacht-like Casanova will offer you a truly home away from home ambience with her 19 well-appointed and air conditioned en suite cabins, a comfortable restaurant and lounge bar, an outdoor covered sitting area, spacious sun deck and a swimming platform. 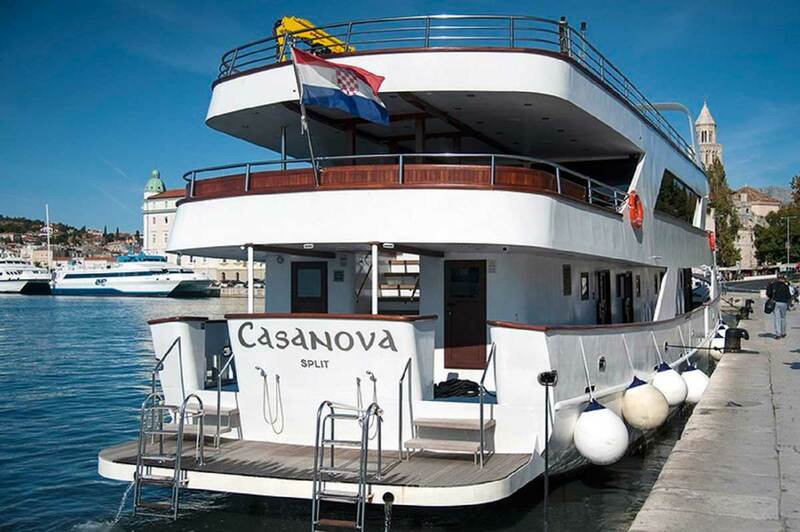 As one of the best ships of her kind in Croatia the M/S Casanova is stepping up her game to satisfy your expectations for an exclusive Croatia holiday experience. Once on board you will be pampered by our friendly and accommodating crew devoted to enrich your enjoyment while sailing the magical Adriatic. 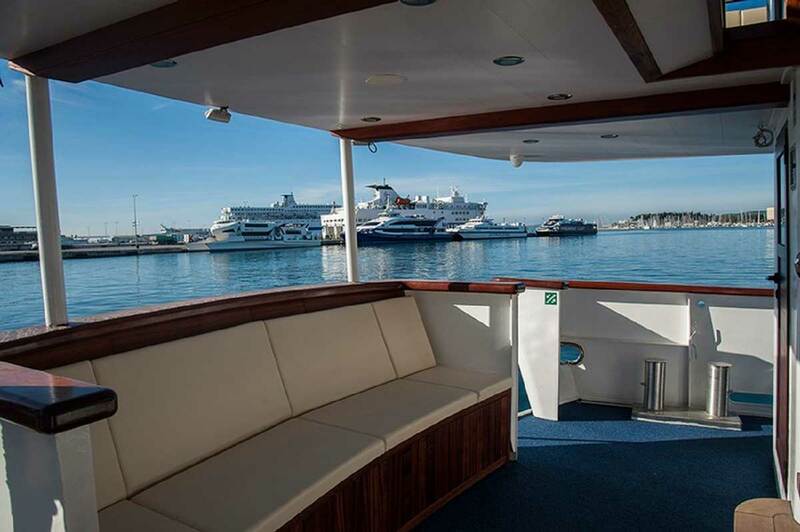 The M/S Casanova provides accommodation in 19 spacious outside passenger cabins with private facilities and air-conditioning providing accommodation for up to maximum 38+1 passengers. Constructed from steel the M/S Casanova has the length of 39,50 meters and the width of 8 meters, powered by two engines for the cruising speed of 9 knots. There are two generators for air-conditioning and 220 Volts electrical power supply. 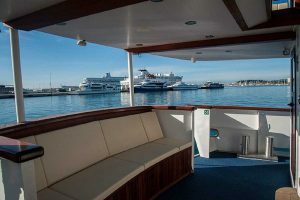 The ship has 19 spacious outside passengers` cabins with private facilities and air-conditioning providing accommodation for up to maximum 38+1 passengers. Passengers` cabins are situated on two decks, namely lower and main deck. 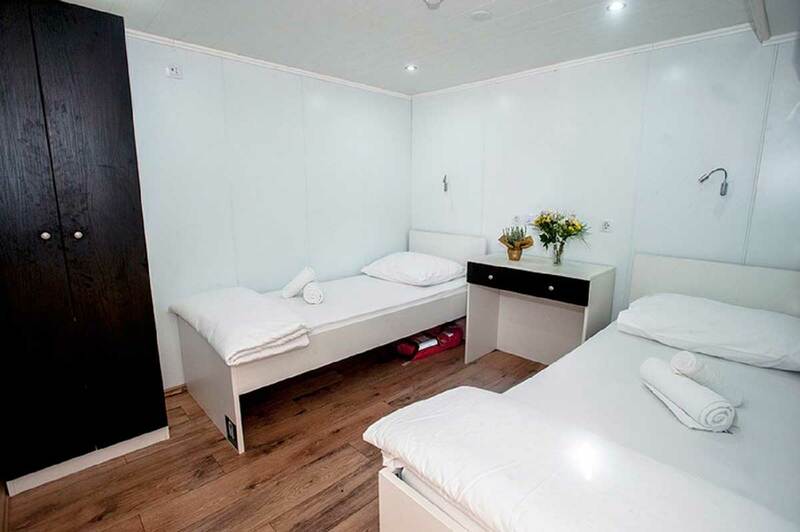 Crew members are accommodated in separate quarters. Spacious and fully air-conditioned dining area includes a 72 sq. meter restaurant with a lounge conveniently located on the upper deck. 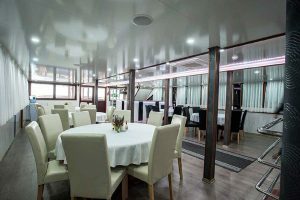 The restaurant is equipped with an adjacent bar, LCD TV, easy-access chairs at each table, buffet breakfast corner, bar furniture, wireless internet, loud-speakers, audio-system and panoramic windows. Kitchen (galley) is made in accordance with the newest HACCP (Hazard Analysis and Critical Control Points) standards. 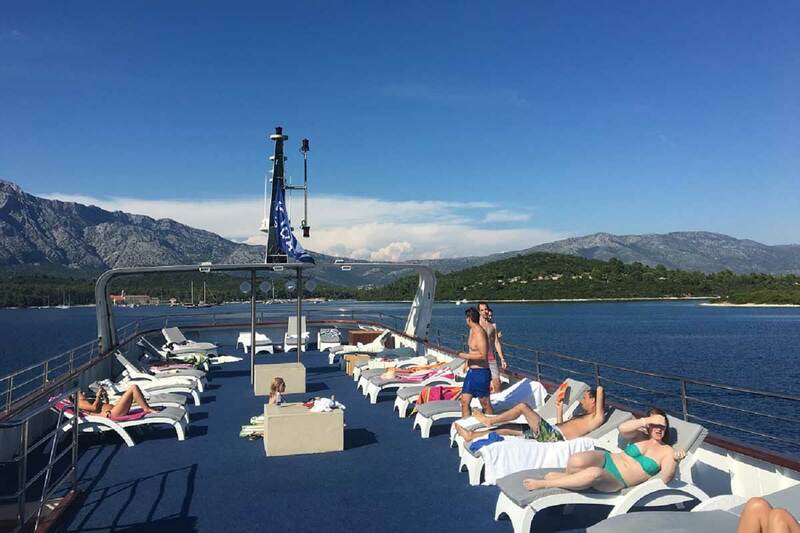 On the highest ship’s deck there is a fenced and spacious sun deck with sun loungers at disposal covering an area of 180 sq. meters. An X factor is the swimming platform with 2 ladders and handrails for an easy access to the seawater.